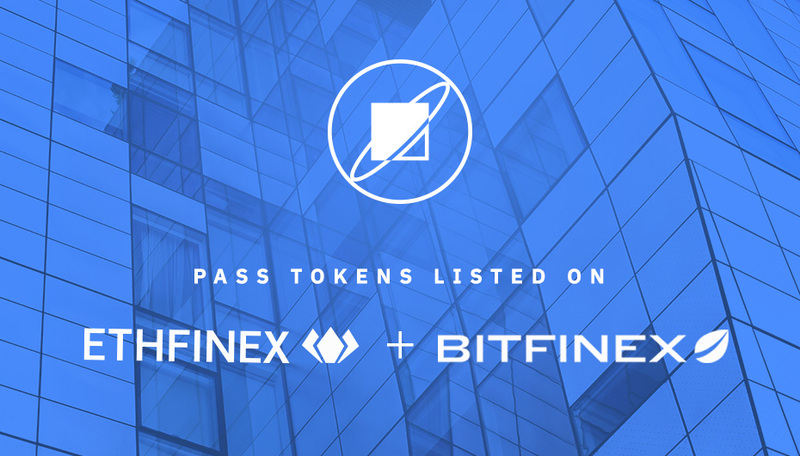 Digital identity verification solution Blockpass today announced the successful listing of its native utility token, PASS, on popular token trading platforms Bitfinex and Ethfinex. Blockpass and Ethfinex have an established partnership and strategic alliance that began with the announcement that Blockpass KYC Connect was to be integrated into the Ethfinex ICO Platform, streamlining customer identity verification and onboarding for participating in token sales. Bitfinex and Ethfinex seek to provide quick and direct access to high-quality ERC20 crowdsales, whilst providing an information and discussion platform for users in order to allow them to optimise their trading experience. As a spin-off of Bitfinex, Ethfinex makes use of Bitfinex’s trading engine and customer experience expertise to deliver the most highly liquid and advanced trading platform available for ERC20 tokens and crowdsales. In addition to Bitfinex and Ethfinex, PASS Tokens can also be found on HitBTC, Lykke, GateCoin and Cryptopia. Blockpass has worked tirelessly to cement its status as an industry leader in the compliance and regtech space, with the development of the world’s premier security token enabled wallet, Infinito Wallet. Blockpass has announced a number of key partnerships in recent months, most notably the establishment of a world-first advanced blockchain identity research laboratory, the Blockpass Identity Lab, in collaboration with Edinburgh Napier University.